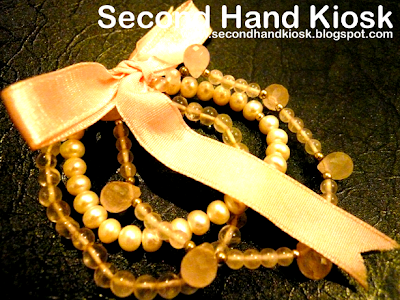 A lovely sweet bunch of rose quartz and fresh water pearls tied altogether with pink ribbon. A mixture of clear and faceted rose quartz. All silver beadings are pure 925 sterling silver for that special skin of yours. This new grand item was handmade with love. RM160.00 The Spring Sale for RM60! 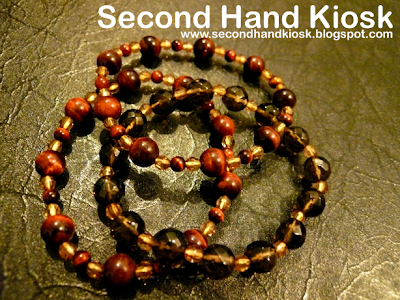 A mystic bunch of smokey quartz and tiger eyes. A mixture of clear and faceted quartz. This new grand item was handmade with love. A nice combination of colors when worn all three together at the same time. RM100.00 The Spring Sale for RM40! 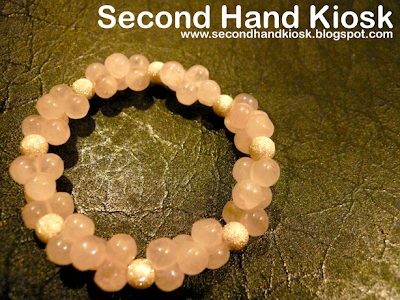 Pure rose quartz with sparkly silver beadings. All silver beadings are a mixture of 80% 925 sterling silver and 20% nickel for that special skin of yours. This new grand item was handmade with love. Please bear in mind the silver beadings are not 100% pure silver hence, if not taken care properly, there will be a change of color. RM80.00 The Spring Sale for RM35! 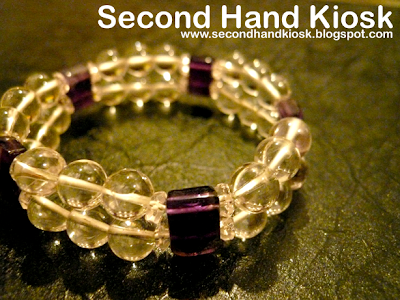 A pleasant combination of clear quartz, rose quartz and amethyst. A mixture of clear and faceted quartz. This new grand item was handmade with love. A pretty plain and simple item with a touch of color. RM120.00 The Spring Sale for RM50! A unique combination of rose quartz, garnet and onyx. A mixture of clear and faceted quartz. This new grand item was handmade with love. Comes with pure 925 sterling silver clasps for that special skin of yours. 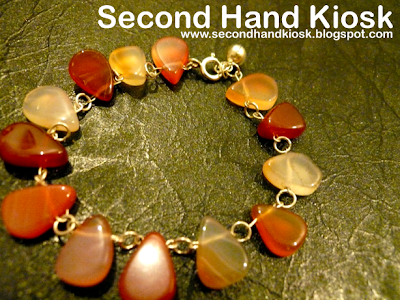 A beautiful tinkling charm of pure multi colored carnelian stones. This new grand item was handmade with love. Comes with pure 925 sterling silver clasps, joints and bell for that special skin of yours. Item comes with drawstring pouch. All crystal beads are genuine and from a B+ grade source. Item will be Pos Laju-ed for the sake of security and guaranteed delivery. There will be a free crystal pendant adorned with 925 silver with this piece. A rare beauty of high grade amethyst. A mixture of clear and faceted quartz. This new grand item was handmade with love. 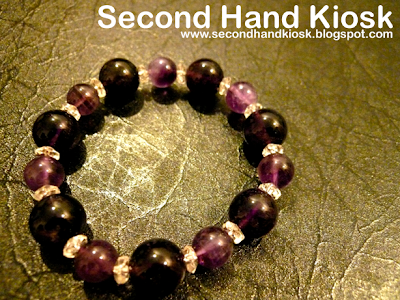 A very strong touch of amethyst in this very pair. Item comes with drawstring pouch. All crystal beads are genuine and from an A+ grade source. Item will be Pos Laju-ed for the sake of security and guaranteed delivery. There will be a free crystal pendant adorned with 925 silver with this piece. 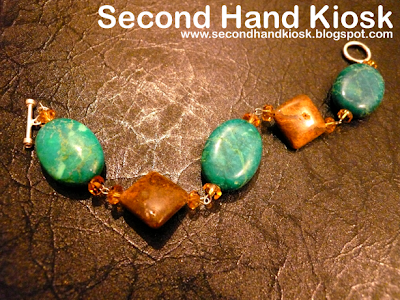 A harmony combination of bloodstone, citrine and turqoise. A mixture of clear and faceted quartz. This new grand item was handmade with love. A touch of modernisation in this very piece. 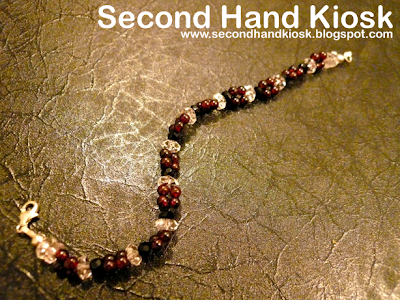 Comes with 925 sterling silver joints and buckle for that special skin of yours.